The First Step To Better Health! Congratulations on your decision to take the first step toward better health. Allow us to guide you through the steps to become a new client of BWC. We want to make your first visit to our office amazing, one that we would be happy to experience ourselves. Nothing beats the ‘golden rule’ and we strive for that every day at BWC! Typically the first thing you’ll need to do to become a client in our office is schedule an appointment. BWC is a technologically advanced office, and you will notice that in the ease we provide in appointment scheduling. Our most unique and popular way to schedule appointments is through our real-time online appointment scheduling service. This is not like most offices where you can ‘request’ an appointment and someone calls you back to actually schedule a time with you. Here you can register yourself and select an actual time slot that works for you and you are done! If that is not your style, we’d love to hear from you by phone – so feel free to give us a call at 952-881-2800. You may schedule online for nearly all of our services, chiropractic, massage, acupuncture, or thermography. Some of our Virtual Naturopath and Twin Cities Scoliosis & Bracing Center services may require your speaking with our staff on the phone to set up the proper type of appointment. After you’ve scheduled your appointment then you are ready to select the proper paperwork and complete it before arriving at our office. You will find needed forms here for all of the services offered at BWC. Technology is really our thing at BWC, not only are you able to download most of the forms you’ll need to fill out before arriving at our office, we also have an online form integrated with our software that once you fill it out, it will securely integrate right into your electronic health record in our office. We do save a couple of documents to sign when you are in our office as it can get a little complicated. Do your best downloading, printing, and filling out the paperwork needed for your visit. If something is confusing or you don’t know how or why to answer certain questions, we’ll help out when you arrive for your appointment. Paperwork is no one’s favorite, but at BWC we have done our best to make it as easy as possible. You’ve scheduled your appointment, you’ve completed the paperwork. The next step is getting to our office for your appointment. You can find directions here, we are located in the Normandale Village shopping center between Lund’s and Ace Hardware on the corner of 98th Street and Normandale Blvd in Bloomington, MN. The sign on the exterior reads ‘chiropractic’, parking is right up close and the Metro bus stop is in our parking lot as well. Once in the office you will be greeted by one of our office staff, they will collect any paperwork you’ve brought with, an insurance card, your ID and if you thought to bring any outside records or x-ray reports they’ll collect that as well. The front desk staff will have a couple of documents for you to sign and may collect some further information on one of our iPad kiosks. BWC offers numerous services so after the initial steps that brought you into our office, here is where your experience will diverge based on the service you are seeking. If you are a chiropractic client you will meet first with one of our chiropractic assistants and they will answer any of your questions, tour the office with you, and finally perform a couple of non-invasive scans of your spine and feet before introducing you to the doctor. If you are coming for massage or thermography you will likely meet up with your therapist or technician directly out of the reception room and they will assist you along to the next steps of your experience at BWC. Your comfort is our priority throughout the entire process of your initial visit. Should you have questions or requests to better your experience, please ask – we are here for you and we appreciate your decision to trust BWC with your health! Your doctor or therapist will offer ample opportunity to ask questions during your initial visit but as you are wrapping up your visit and checking out at the front desk, please ask any further questions you may have, clinical, financial, or administrative. We will do our best to send you home having all of your questions answered. While checking out after your visit you may have some financial responsibilities to take care of, we may have missed a signature or some other data that needs to be completed, but finally it may be time to reschedule for your next appointment. While you are welcome to schedule online when you have returned home for any necessary follow-up appointments, our front desk staff has a much more flexible scheduling system you may wish to take advantage of. So that’s about it, in just a handful of steps you have joined a new family! We look forward to getting to know you and assisting you toward your health goals! Welcome to the BWC family, happy dance! Thank you for investing some time into completing the proper paperwork prior to arrival at our office. It can be tedious but it is required to comply with government and insurance regulations. Please let us know if you have questions, we are here to help. Select the appropriate service below and follow the instructions. Thank you! All new patients click here to be directed to our online health questionnaire form to complete and submit electronically. All new patients click here AND here to download & print intake data forms to complete and bring to with to your visit. At Bloomington Wellness Center we are committed to making care affordable for anyone! Most of our services are covered by insurance, others require self-pay. Below is some detail to help you learn about payment options. Health insurance has changed drastically in recent years. Often patients pay higher premiums, have higher deductibles & co-pays, and have less covered services. At BWC we understand the challenge of getting quality care at an affordable price. We have created a pricing structure that allows those with poor health insurance coverage to receive the care they so desperately need. BWC is an in-network provider for most insurance companies in the Twin Cities such as Blue Cross, Medica, and Medicare. We will work with you to take full advantage of your health care coverage. Call us at 952.881.2800 and one of our staff members will be glad to walk you through this process. Typically the best way to learn what you have for coverage is to provide us a copy of your insurance card and our office staff will call to verify benefit coverage. Below are some of the insurance companies we work with regularly. Most of the time, if you were injured in an automobile accident, your or the other driver’s auto insurance will cover your chiropractic or medical expenses. There is rarely a provider limitation when using an ‘injury’ type of insurance. You may have been injured in an automobile, a business, or a home – often in those cases a “personal injury” insurance is typically responsible for your care, not your health insurance provider. Typically you are permitted to self-refer to the provider of your choice. We would be happy to consult with you about your options for receiving the care you need and the coverage provided by your insurance. Please give us a call today or use our handy real time online appointment system. Below are just some of the auto insurance companies we work with. If you have Medicare BWC would love to help you. The US government has set up a wonderful health care program for our retired and elderly citizens. It seems that complaints abound about the limitations of Medicare but the fact remains that coverage for chiropractic care under Medicare is actually very good. There are a number of rules the patient and provider must closely adhere to in using Medicare for health care services, but once you have done so, the benefits are very good. Please be aware Medicare does expect its clients to have a small amount of financial responsibility in a chiropractic setting. There is no legal way around these fees but we assure you they are insignificant, we would be more than happy to disclose the details of their fees in person or just give us a call at 952.881.2800. We look forward to working with you! Injuries at work happen, injuries driving your car for work happen as well. Injuries at work can be severe have a impact not only on your health, but your work and family life. BWC understands the complexities of all of these matters and desires to help you through the challenges. Generally if you injury is related to work you are allowed to select a provider of choice, but you may need to discuss that with a supervisor or your HR department. The state of Minnesota typically permits 12 weeks of care with a chiropractor, so if you have been injured contact us today. We will help you get back on your feet! 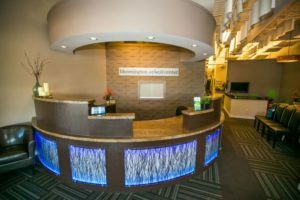 Bloomington Wellness Center is experienced with the utilization of Health Savings or Flexible Spending accounts in our office. Virtually all of our services qualify for this healthcare tax incentive. Please contact us with any questions you may have regarding the use of your HSA/FSA in our office. Dr. Brittany describes what your chiropractor can do after you have been involved in a car accident.